The Family Smile is very proud to offer the latest in proven dental technology. Our dental surgery is one of a limited number in Adelaide which can offer the latest generation of Computer Aided Design / Computer Aided Manufacture (CAD/CAM) dental solution. CAD/CAM is a technology that was born from research at the world famous Massachusetts Institute of Technology (MIT). Researchers developed a computer based system for the design and creation of bespoke parts for high tech industries ranging from the space program to formula one racing. This technology has been refined over the years and has now been integrated into the dental industry. Our dentists are able to custom design and create a ceramic filling/crown in a single 90 minute appointment. This saves our patients time and more importantly, provides them with the best dental outcome. 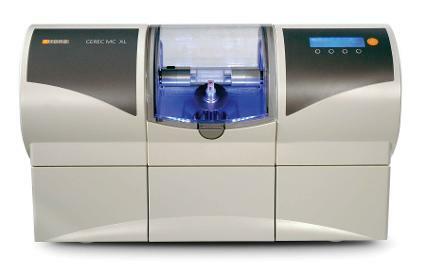 The Family Smile is a proud user of Sirona's MCXL Cerec solution for the creation of your ceramic fillings and crowns.